There is nothing like heading down to your local hardware shop to pick up missing screws, some paint, and having a chat with your neighbors about your latest home improvement project. It’s important to support small, locally-owned hardware stores that are dedicated to the community. Here are our 10 favorites. Maine Hardware in Portland is “proudly local, fiercely independent, and wicked helpful.” Opened in 1934, Maine Hardware has been Portland’s go-to hardware shop for decades. 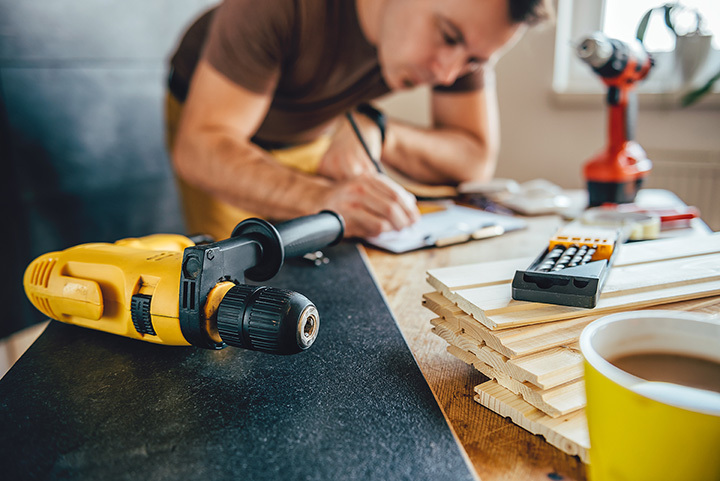 The store carries everything you need to finish your DIY project in electrical, lawn and garden, paint, plumbing, lighting, and more. Their knowledgeable staff will help you pick the right supplies and teach you how to use your need tools. For over 20 years Gosline’s Hardware has been the “one-stop shop for home-improvement supplies” in the greater Augusta area, according to its site. They carry all the name-brand items you need in paint, plumbing, heating and electrical supplies, lawn and garden, and hand and power tools. In addition to carrying aisles and aisles worth of inventory, Gosline’s Hardware also offers a range of repair and installation services. Their number priority has always been customer service so you know you’ll get treated right here. Rankin’s Hardware & Building Supplies in Camden has been the area’s top hardware store since 1952. They carry a wide range of hardware supplies, building materials, and even animal feed. There are not many places where you can take care of all your hardware, gardening, painting, and animal needs in one places, but Rankin’s is the place to go if you live along the Midcoast. First opened in 1865 as J.P. Blunt & Son on Water Street, Quinn Hardware in Skowhegan is probably one of the oldest running hardware store in Maine. Currently owned and run by the Quinn family on Waterville Road, Quinn Hardware has everything you need from tools to plumbing to paint to lawn and garden supplies. And what you can’t find in the store, you can have it special ordered. For over 50 years, Damariscotta Hardware has been supplying the Midcoast region with all their hardware needs. From custom cut chain to glass and hand tools, Damariscotta Hardware has you covered. The hardware store also has tons of services like vacuum repair, key cutting, and chainsaw repairs. Ace Hardware might be a national chain, but each location is locally owned and operated. Opened daily in one of Maine’s most eastern towns, Calais Ace Home Center has just about everything the big box stores have that are miles away. The staff is friendly and knowledgeable so don’t be afraid to ask them for their help or advice. Started by a group of western Maine farmers in 1919 to supply the area with the necessary farming supplies, Paris Farmers Union has expanded to 10 stores in Maine, New Hampshire, and Vermont. Each store has over 40,000 items in the home, farm, garden, pet, and hardware departments. It’s a one-stop shop for all your home, pet, and gardening needs. Richardson’s Hardware has been serving the northern Maine communities since 1948. This family-owned and operated business focuses on high quality customer service and products at good prices. They carry all the name-brand products that the big box stores do. You’ll also find sporting goods and hunting and fishing supplies next to the lumbar and power tools. Don’t forget about the animal feed or nursey, too! Formerly known as Cook’s Hardware, the Gorham Ace Hardware is owned and operated by a local couple who also own an Ace Hardware in Yarmouth. Similar to the big box stores, you’ll find all the name-brand products with the bonus of friendly and knowledgeable local staff. What they don’t have, they can order for you as well! Independently owned and operated, the owners at the Fairmount True Value Hardware store in Bangor are the classic, old school type. They know their regular customers by name and give back to their local community. They carry all the products that you would expect to see in the big box stores and they also offer a range of services like Plexiglas cutting and repairs.